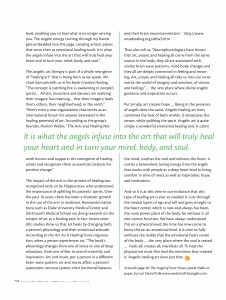 Just published in December 2015 issue of Edge Magazine. 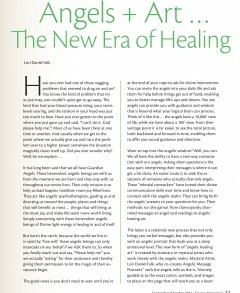 It’s been many years that I’ve been talking with the angels, and for this issue I’ve collected some convincing evidence for their ongoing, loving guidance that is available to everyone in various forms…. 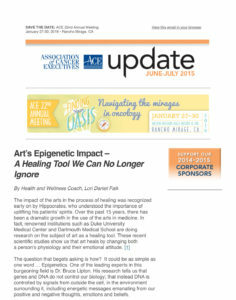 Our Healing Art Debuts in the Medical Community! 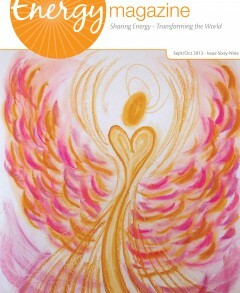 We are proud to announce that the Edge Magazine just published Lori’s article on Angels + Art in their feature section on What’s Hot in Metaphysics! 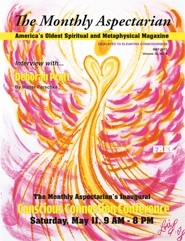 We’re thrilled to tell you that our Positive Attitude Angel Angelic Message Portrait™ was just featured on the cover of The Monthly Aspectarian Magazine, the foremost voice in the Midwest for those seeking enhancement of body, mind, and spirit. 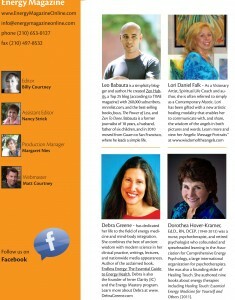 We highly encourage you to click on the above link and check out “this must read” magazine! Join Co-Hosts, Gina Gaudio-Graves The JV Queen and Dean & Founder of DirectionsU.com and Ronda Del Boccio (“The Story Lady” of ProfitableStorytelling.com, with AMAZING people who build their business through the power of relationships … You’ll discover how to grow your influence and to become THE go-to expert in your niche or field by focusing on service. 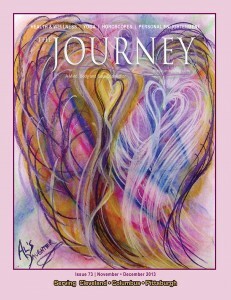 Lori was recently interviewed by Alicia Higgs and Shwana Lomax (two amazing lightworkers) on their show, “Your Angel Connection” on Blogtalk Radio. 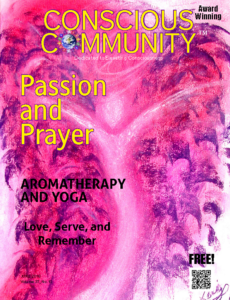 Their lively interchange, as well as some on air angel readings, can be heard by clicking here. 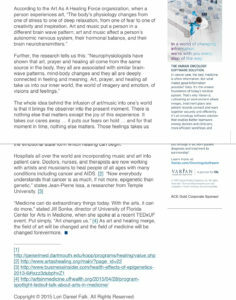 Lori was a guest on Steve Rother’s Virtuallight Broadcast transmitted via the Internet from Las Vegas, on June 30, 2007. 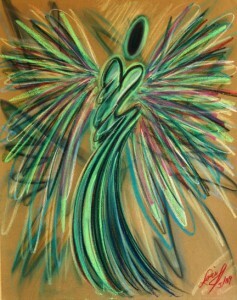 You can now learn more about Lori and her Angelic Message Portraits by watching this interview. BBS Radio Interview Lori was interviewed on Mike Qunicy’s London radio show “Connecting the Light” this past May. You can listen to the interview by clicking here. 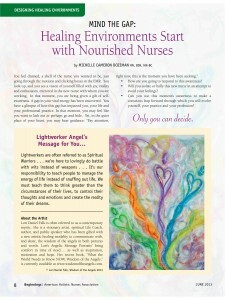 Our Divine Union Angel had the honor of being on the cover of Planet Lightworker, a magazine that provides an eclectic mix of informative, enlightening and entertaining articles that serve the interests of and draw together a wide variety of spiritually inclined people of all nationalities. 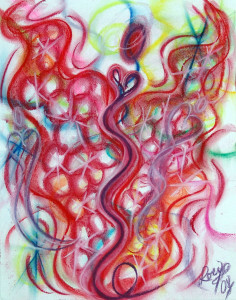 Planet Lightworker reaches people in over 40 countries around the globe.